Just another reason why Texas Speaker of the House Joe Straus MUST GO! He is officially calling for more revenue (taxes) and billions more in spending. While other statewide leaders are calling for reducing spending and cutting wasteful government, House Speaker Joe Straus is telling the media he wants to break out the checkbook this session. In preparation for the 83rd Legislature, Gov. 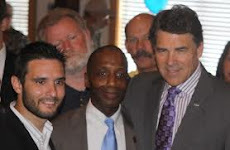 Rick Perry and Lt. Gov. David Dewhurst have been out stumping for the Texas Budget Compact, specifically calling on the Legislature to cap increases in state spending to no more than the growth of population plus inflation. But as conservatives are well aware, the state’s third highest-ranking official, House Speaker Joe Straus, has been conspicuously absent from any such calls for limiting government. The speaker has flirted with the idea of bringing in more revenue instead of cutting spending ever since he declared the 82nd Session adjourned sine die. Now, Speaker Straus is calling for additional spending on public education. Up to $6 billion more that what was spent last biennium. Austin radio station KLBJ reported on Saturday that Straus is committed to funding bigger bureaucracy under the guise of “enrollment growth” (estimated to be $2 billion of spending) for public education, and hopes the supposed “cuts” to public education from last session will be restored as well (a $4 billion proposition). A House Speaker refusing to commit to spending reductions was bad enough, but having one openly call for more spending before the 83rd Legislature even convenes is a worrisome sign for taxpayers. Ironic, given that it was just a few months ago Rep. Isaac was telling his constituents “we do not have a funding problem, we have a spending problem” in public education. And yet he’s supporting a speaker willing to cow-tow to educrats despite overfunding enrollment growth in the past decade by a factor of five? State Rep. Allen Fletcher is in a similar boat. Why is he supporting a speaker who talks about “cuts” to education when he correctly acknowledged the state increased spending on public education by $1.6 billion last session? State Rep. Dan Huberty is another example. He once campaigned on the fact that he pushed for zero-based budgeting when he was on the Humble ISD school board, saying “start there and figure out who much money we really need to spend to provide the services we want to provide…” Yet he supports a speaker who’s entire premise of pushing for “restoring cuts” is based on the assumption that our public education system is as efficient as it will ever get? Worth noting: Mr. Eissler was defeated in the GOP primary this session. House members have a big decision to make before they head to Austin in January. Whom they support will stay a lot about what they support. More spending on bigger bureaucracy – or an efficient public education system devoted to putting more power in the hands of teachers and parents.